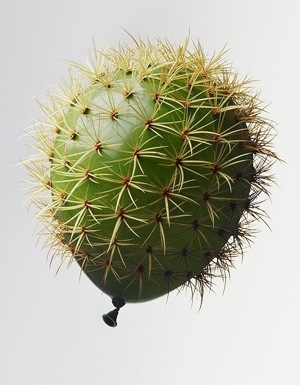 Cactus Balloon by Surrealist Sculptor Nancy Fouts. Check out a selection of her other astounding images at Nancy Fouts Dot Com. I am imagining that you could give these out at birthday parties where you passively aggressively want to imply the person is a prick!